With so many great Charlotte Mason curricula, products, and resources out there, following a Charlotte Mason philosophy in your homeschool can be very easy. However, for those of us who are secular homeschooling families, finding secular Charlotte Mason resources can be a little more difficult. So I have put together a quick round-up of some Charlotte Mason resources that are either secular or easily secularizable. Author’s Note: This post originally published in March 2016 – I’ve wanted to update this post with some new resources for quite some time now, so here it is! Let’s discuss secular homeschooling for a moment, first. Just like “religion” doesn’t describe just one particular faith, neither does “secular” necessarily mean the same thing for everyone. While the actual definition of “secular” is pretty clear – having no influence from religious belief/worldview – how secular families look in their day to day lives can actually be quite different. As can their reasons for homeschooling secularly. Some families are strictly non-religious, some families are of a faith that is not Christian (and so have difficulty using typical faith-based materials), and everywhere in between. None of these are wrong, it’s all about following your own family’s culture and values. In my personal family culture, we are not of any religious faith so we try to stay pretty vigilant when it comes to religious content. I do my best to make sure that any resources we use are appropriate for my non-religious homeschool and family. And here is where the subject becomes a little more gray. I’ve read/heard some big names in the CM community say that if you are a secular homeschooler you can’t possibly be capable of implementing the Charlotte Mason philosophy. One of the things that I think is important to remember is that Charlotte Mason was a woman of deep personal faith, and her beliefs and values are made very clear in her original writings. So while we are working with the CM method in our secular homeschools, it would do us well to understand and appreciate her sentiments and her founding principles – and how her writings about these principles were filtered through the lens of a 19th Century woman of Christian faith. Understanding that, we can hopefully strive to see past the Christian lens and get to the core of her principles. So, having explained my view on all that – I’d like to now share some secular Charlotte Mason resources. I don’t typically recommend any materials here on my blog that are not completely secular (see: Ultimate Guide to Secular Homeschool Curriculum for a look at my definition of secular, and 100+ amazing resources), however in the CM world it becomes quite tricky to find strictly secular resources. Luckily for all of us, there seems to be a shift and an increase in the secular Charlotte Mason materials available to us. So I’ve done my best to include secular resources – but I’ve noted a few that do come from non-secular authors/publishers. If you’re a Charlotte Mason home educator, you are probably no stranger to having to ‘secularize’ a resource or curriculum. It can get tiring and tedious to weed through materials to see if they are a good fit, or it can be tricky when something pops up in a book or a curriculum that doesn’t fall in line with your family’s beliefs and values. Here are the materials we really like in our home, and also a few suggestions from some of my fellow Secular Charlotte Mason mamas. Some of these are complete currriculum that you can follow, some are resources that have really helped me along my way. This is one of my favourite secular resources. Penny Gardner has a really in-depth, easy to follow, Study Guide to learning about Charlotte Mason and her method. What she has done in her second edition is also create a Study Guide for secular families, still with all the great quotes and information from Charlotte Mason’s writings, but – leaving out the religious quotes. It’s really that simple. And I feel very strongly that she still covers ALL of the bases and gets all of the most important of Charlotte Mason’s own words and ideas in there. Fantastic Resource! This is a free online curriculum that is still new to the market – but it is LOVELY. They’ve released Form 1 so far, and are diligently working on other forms. If you’re looking for a secular, modern, curriculum that has been carefully and thoughtfully put together, this is what you’re looking for. The amazing creators behind Wildwood have worked tirelessly to craft a curriculum that follows closely the original Programmes put out by the PNEU. Not only that, but they’ve included a really great multicultural element, which is not something you’ll oft find in a CM curriculum. Another newcomer to the scene, Ursa Minor has only just begun to release their curriculum content with us. They’ve opted to start with the upper years (grades 9 to 12), but have a tentative schedule on their site as to when the other years will be released. Ursa Minor’s curriculum is Charlotte Mason inspired, with a dash of Classical added in, and it’s heavily science-based. Oh, and it’s also free of charge – can I get a heck yeah?! Can you hear that? That’s the pitter-patter of my heart – I cannot wait to see what Ursa Minor releases for the other grades. I’ll be watching them very closely. Mater Amibilis is a free, online, Charlotte Mason curriculum that was created for Catholic homeschoolers. I know, I know – you’re probably giving me the side-eye here, but here’s why I’m including this. Among the “secular homeschool” umbrella, there are quite a few religious families who find it difficult to use the typical Christian resources, because of theology or even because of biases in the materials. When I stumbled upon Mater Amibilis about a year ago, I initially thought “uh no, it’s Catholic. Not for me thanks”. But then I took a closer look at a syllabus and made a realization. They include their faith/religious teachings in a very clearly marked, separate lesson. And when I looked at the rest of their lessons – the resources that they recommend all, for the most part, are books we already had here. Books that don’t have that usual Christian bent. I really think Mater Amibilis is a great resource for many CM families when you need resources suggestions that are different than the usual. Emily Cook – author and creator of the Build Your Library curriculum, has put together a resource for secular homeschoolers who want to learn more about literature-based, Charlotte Mason style homeschooling. I have read this book more than once, and it’s such a good resource. The market is definitely lacking in secular Charlotte Mason resources – curriculum OR books for the parent to read – but Emily Cook has done a great job starting to fill that need. This book is a must-read, especially if you’re just getting started on your journey. Emily Cook, creator of the Build Your Library Curriculum – is, for me, very much a trailblazer in the world of secular Charlotte Mason. Her curriculum is beautifully written, uses beautiful book suggestions, and is secular. While it’s definitely not ‘strict’ Charlotte Mason, and pulls in some Classical elements – it’s a wonderful, thorough, fun curriculum to use. I’ve talked a LOT about Bravewriter already – and while it’s not a strictly Charlotte Mason program, the products they offer are very easy to add in to any homeschool! The focus on finding the child’s writing voice, copywork and dictation, and no workbooks all make THIS Charlotte Mason mama very happy. We’ve been using Brave Writer for years – and in fact, it was through reading The Writer’s Jungle that I first heard the name ‘Charlotte Mason’. When I discovered this group recently, I had really been starting to feel like there weren’t many homeschoolers like me out there. Or at least none that were ‘vocal’ about it – but after finding this group of amazing mamas, I feel renewed and encouraged to stay the course. Whether looking for ways to secularize/adapt a curriculum, or looking for support, or reading along together with Charlotte Mason’s original works, this is THE first stop for me if I have a question. And if you’re a Secular Charlotte Mason mama, and not a part of this group – you need to check it out! NOTE – THIS IS NOT A SECULAR COMPANY. With that out of the way, I have found that of all of the SCM resources I’ve looked at or tried, most are very easy to adapt. I’ve used SCM’s “Planning Your Charlotte Mason Education” in the past and it has been a huge help in making sure I’m not leaving any dish out of the “feast”. Very flexible for those of us who want to implement CM’s methods but need to do so in a different way (for whatever the reason). 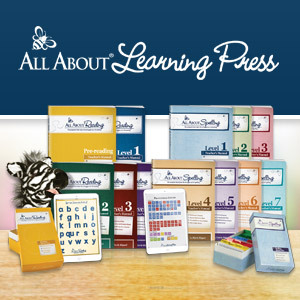 Not only do they have great resources to purchase, but Sonya Shafer’s blog posts are very informative, and encouraging. With the added help of their SCM Forum, you can really easily find substitutions and suggestions for ways to adapt to your own needs. In particular we find their Art Study Portfolios, poet study resources, and their Your Business Math program – all easy to use and totally appropriate for our homeschool. This is by no means ALL of the resources out there, so if YOU have a Secular Charlotte Mason resource that you love, share with me – and I’ll add it to this list! Comment below and let me know how YOU make the Charlotte Mason method work in your secular home! Great resources, Nadine. We aren’t secular, but I find that our beliefs generally don’t align with most of the curriculum out there. So, generally, I like to choose resources that are secular so I can add our religious beliefs to them. I have found Simply Charlotte Mason very adaptable, too. It’s interesting to me that so many families who are “secular homeschoolers”, are not “unreligious”. Many families who do have a religion or spirituality still identify as secular home educators. “Secular Homeschool is NOT One Size Fits All” That is so true! We are secular homeschoolers as well, and seem pretty similar to you. However I know a ton of people that when I mention we are secular they think we are anti-religon. Thanks for putting this out there! I loved all the resources! Thank you for putting these together!! I’m leaning toward using the CM method for my upcoming Kindergartener, and finding resources without a Christian core has been challenging. I’m thinking of a follow up to this one, talking about what I look for and how I decide if something is secular-friendly. So stay tuned for that one! Sometimes knowing how to weed through resources and decide if it will work or not, is the hardest part of the process. Oh, wow! Thank you!! I’ve pinned this so I can go back and look at the resources more in depth, but it’s encouraging just to read this post. I’ve been intrigued by the CM method since we started homeschooling, but I was put off by the deep Christianity of it. Like you said, there’s nothing wrong with that, it’s just not what I want for my home school. Besides the secular issue I also have a very hard time finding books on most CM lists (thinking AO) with many people of color. This should be important to everyone I would think but is esp important to me as my children do not look like all the little white kids prancing around in the vast majority of recommended books. I recently found Wildwood Curriculum, which is a free secular Charlotte Mason curriculum online. It’s lovely and we just started incorporating it. They only have Form 1 available at present but Form 2 is in the works. They also have a FB group. I’ve been looking at Ursa Minor Learning lately, which is another secular Charlotte Mason curriculum – but so far, has only years 9-12. More are in the works, though. “People who would not be offended by the real me”….mama, you are singin’ my song! I tried for a long time to just quietly do my thing as a secular homeschooler. But I kept finding it so hard to find support/books/blogs that felt like they got me. So, I decided if I couldn’t find it – I’d make it. 🙂 And here I am. I’m glad you feel safe here – that is my whole mission! not secular, but i think I’ll check some of these out. All I can say, THANK THE GODS I FOUND YOU! It’s so lonely when you’re swimming upstream . . . Thank you for the work you’ve done on this blog, compiling and sharing these resources. We will be homeschooling our eldest this fall and I now feel a little less like I’m drowning in the sea of options – most of which don’t seem to fit our family, even though we are Christian. I’m more encouraged that maybe there are things out there we can just use, as they are, where I don’t have to censor and modify everything. Again, thank you! Thank you so much for putting this together! This is my first year homeschooling and I have been crawling though curriculum descriptions and reviews for a month. I’m exhausted! It really is surprisingly difficult to find a good program that doesn’t prioritize a faith-based worldview. I find that most of the faith-based programs feel like they are more concerned with perpetuating religion than providing a well-rounded education – and I say that as a practicing Catholic. By the same token, it can be difficult getting recommendations that aren’t clearly framed as anti-religious; it doesn’t seem to occur to many people that a Christian family might prefer a secular education. So far, I really like what I have read in Wildwood and I’m looking forward to checking out some of the other resources. Many thanks for helping point me in the right direction. thank you so much, thanks GOD! I found something secular, 😀 I’m christian but I don’t want educate my kids with religion as a base, and at the same time teach them to respect all religions and thinking. thank you very much! Such a helpful article! I just wanted to let you know how much we CM novices appreciate posts like this! Solid gold. I wish you had affiliate links to purchase the books and things – would love to help support this site!